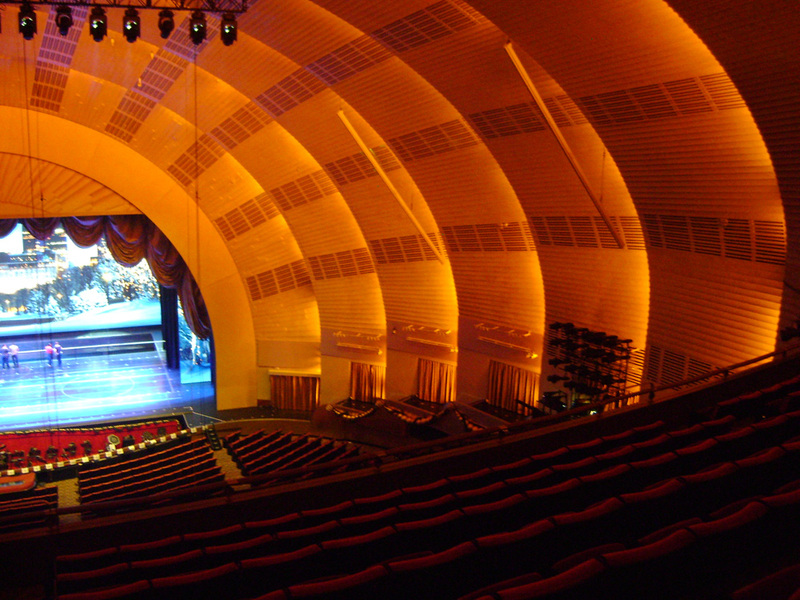 The famous stage at Radio City Music Hall. C. Nelson, 2013. 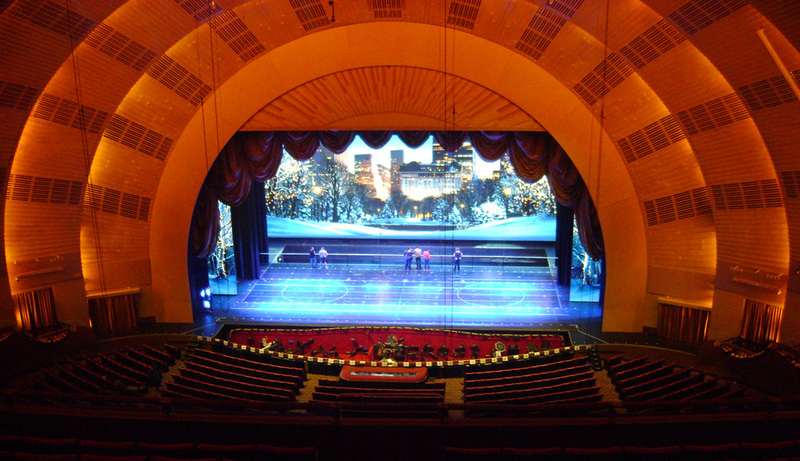 The talented Rockettes might be the main attraction at Radio City Music Hall during the holidays, but the space itself is a true wonder. 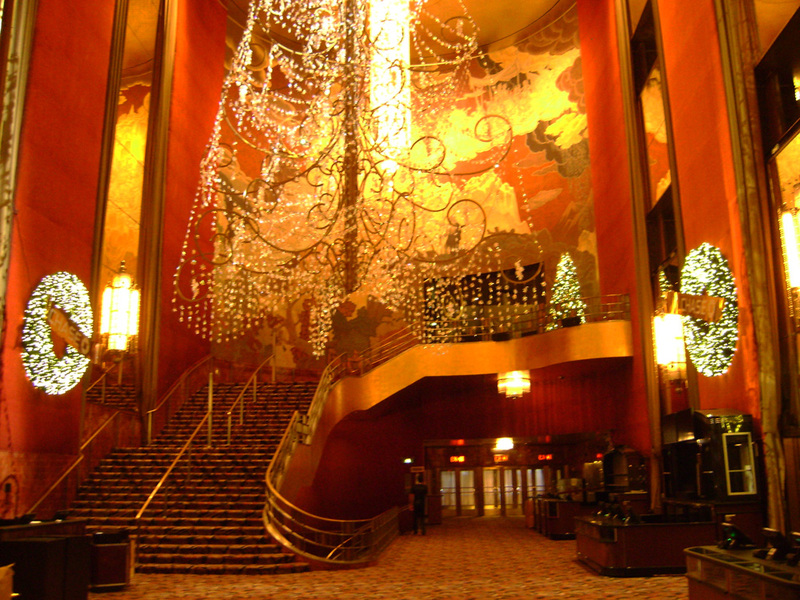 Stunning Art Deco details are everywhere you look, and just walking into the dramatic lobby can take your breath away. 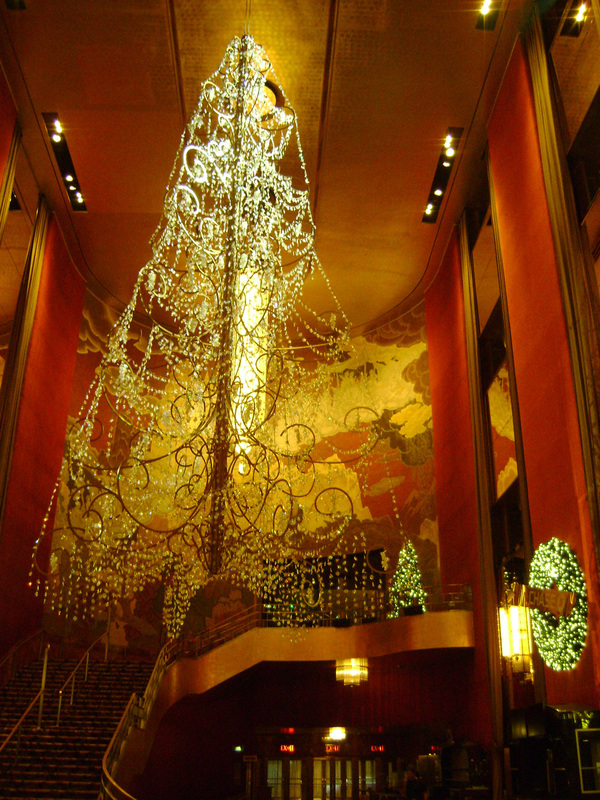 The first thing you’ll see is a gigantic 35-foot Christmas tree chandelier made out of Swarovski crystal. 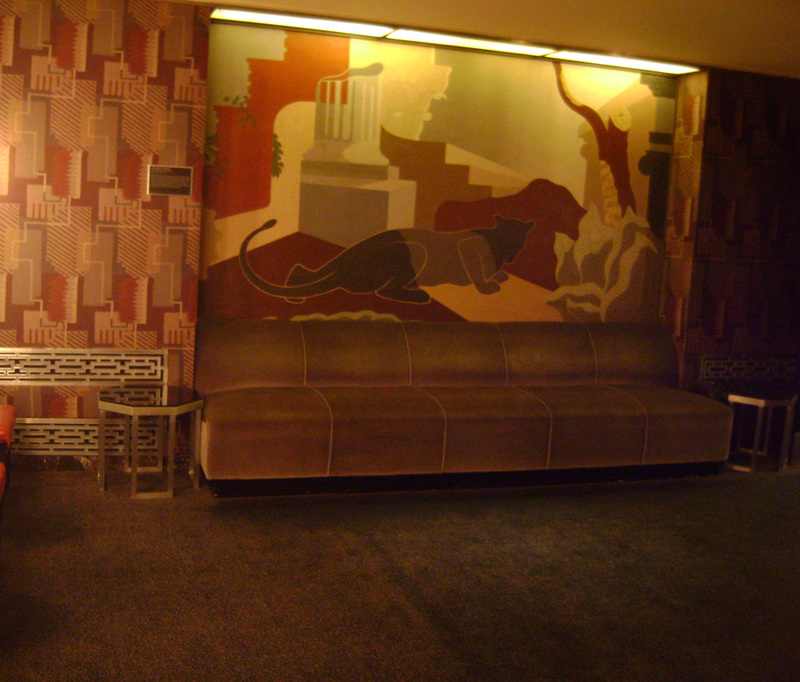 But don’t forget to look down at the intricate carpet detailing, the “Fountain of Youth” mural by Ezra Winter on the stairway, and the classic signage above the doors. If you want to see the highlights without the crowds, take the Stage Door Tour. An expert guide will fill you in on the storied history of the building as you tour the beautiful men’s and women’s lounges and watch the performers warming up on stage. Oh yeah, you also get to meet a real life Rockette in person. 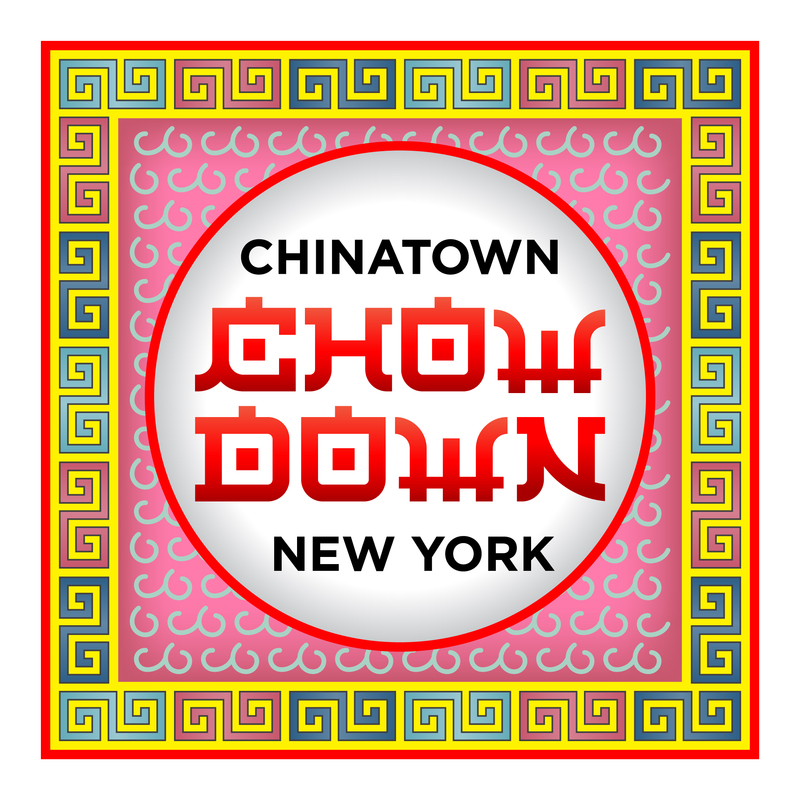 There are no high kicks involved, but you can ask a few questions to get a sense of what life is like as a famous New York icon. That’s worth the price of admission alone. The holiday Swarovski crystal chandelier tree. C. Nelson, 2013. 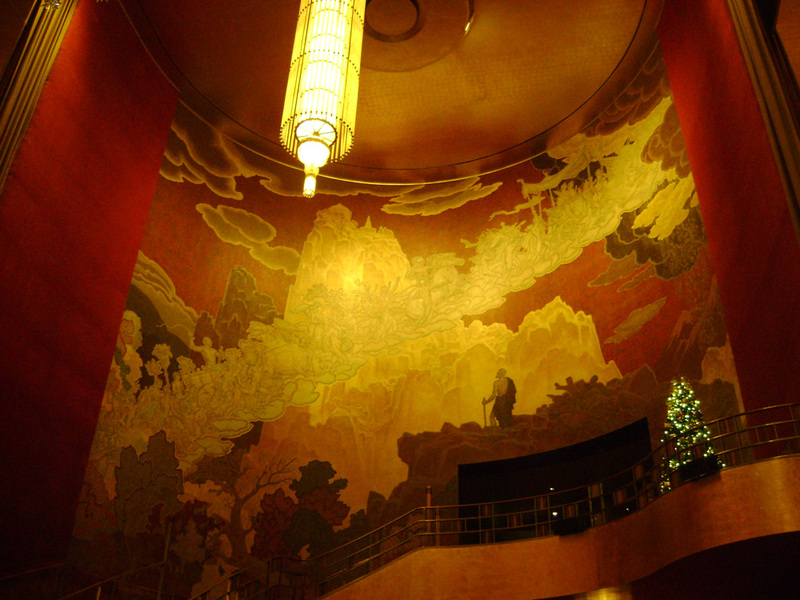 Ezra Winter’s stunning “Fountain of Youth” mural along the staircase. C. Nelson, 2013. The beautiful walls of the concert hall. C. Nelson, 2013. 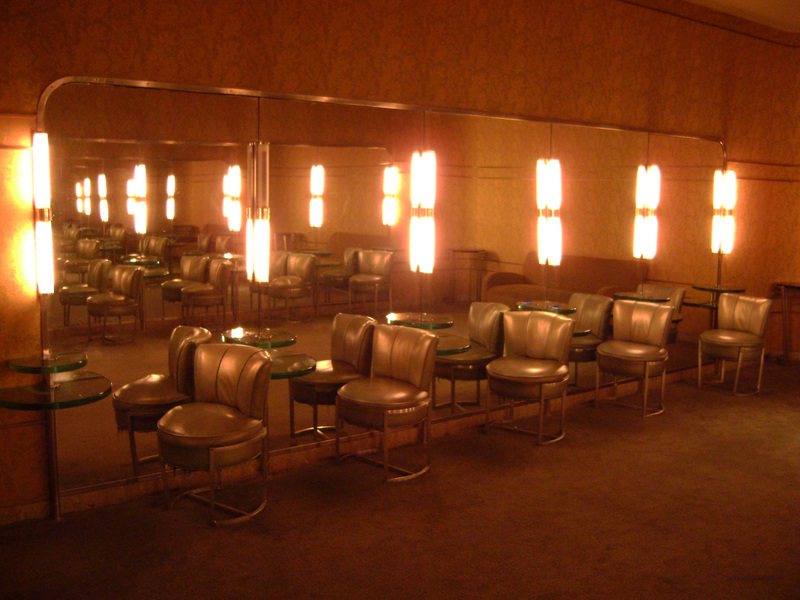 Men’s lounge. C. Nelson, 2013. 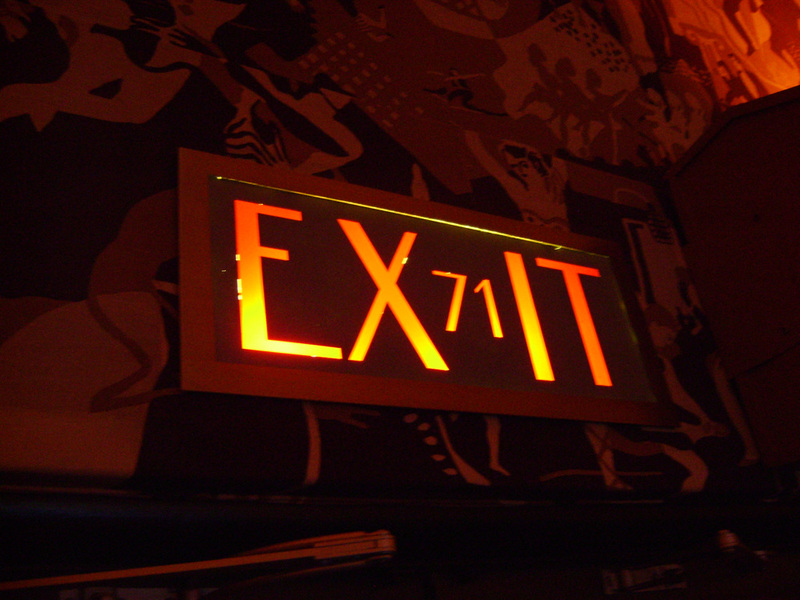 Art Deco signage. C. Nelson, 2013. Lounge area. C. Nelson, 2013. 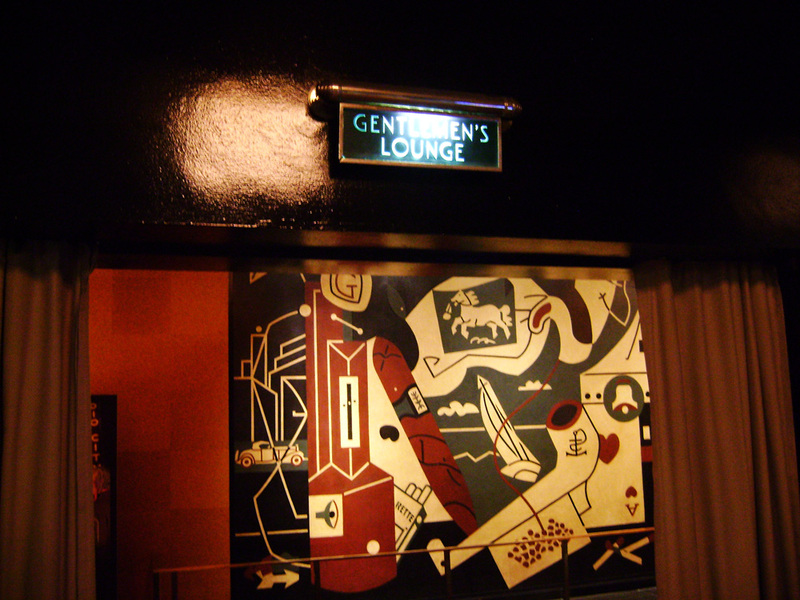 Gentlemen’s lounge. C. Nelson, 2013. 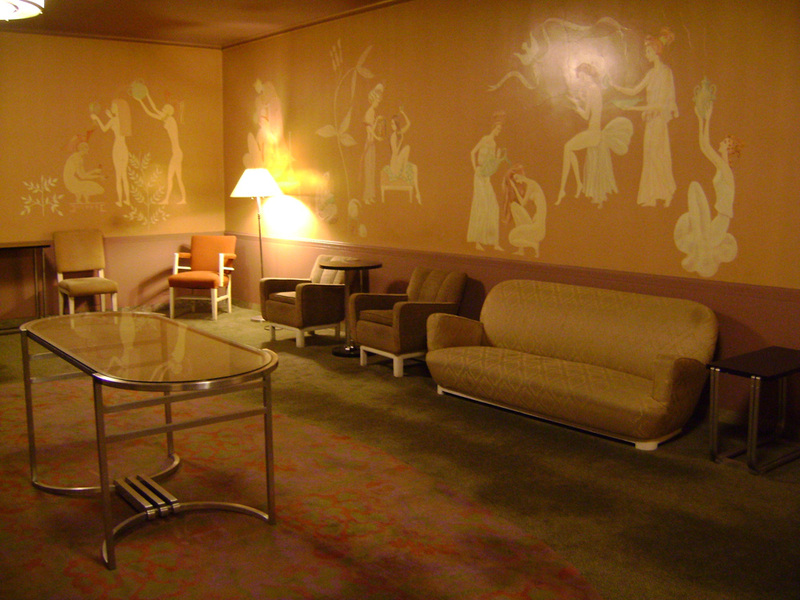 Ladies’ lounge. C. Nelson, 2013. The lobby decked out for the holidays. C. Nelson, 2013. 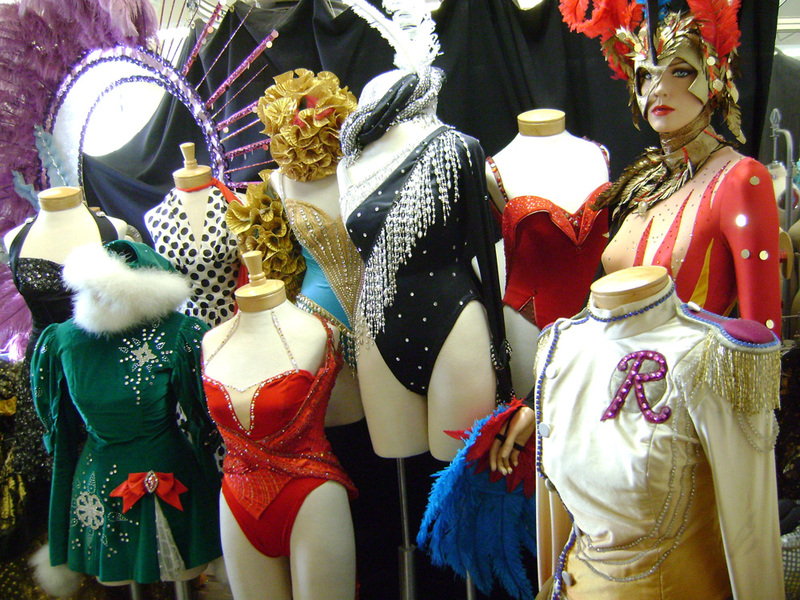 Rockettes costumes from the archives. C. Nelson, 2013. Rockettes outfits on display. C. Nelson, 2013. The famous marquee. C. Nelson, 2013. 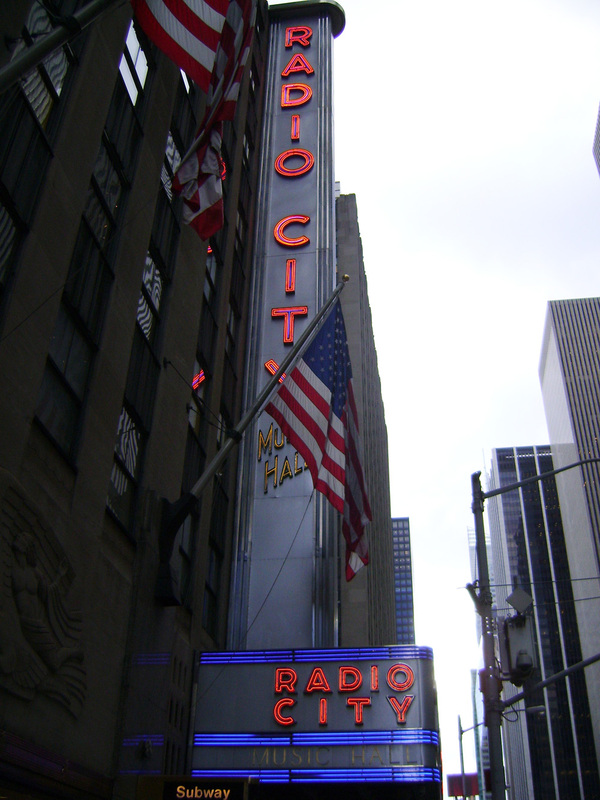 This entry was posted in Exploring New York City and tagged architecture, Manhattan, New York City, NYC history, Radio City Music Hall. Bookmark the permalink.